Inverters are the machines which are designed to convert the direct current to alternating current. The power that is obtained output of the inverters can be arranged needed voltage and frequency values. Renewable power sources like solar panel and wind produce direct current and stored this power in the batteries. At this point, inverters use this stored power to transform the alternating current. Alternating current is necessary for home devices and some other machines. 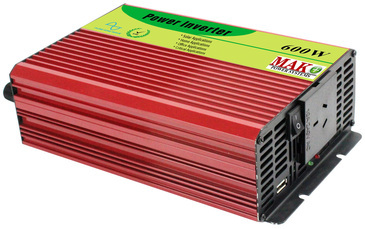 Inverter 600w are easy to carry for small powers. While inverters converting the direct current to alternating current, they also arrange the voltage and frequency values and supply clean power for the systems. As Mak Plus Power Systems Germany we also produce inverter solutions which are high German quality and long term usage. Power inverter 600 watt are designed by our long year experienced technical team and engineers carefully to be sure customer satisfaction. 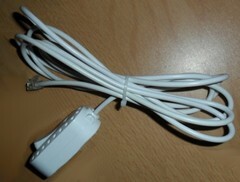 All the components and spare parts are German technology and high quality to provide the companies long years usage. While we design our power inverter 600 watt machines, we really care about production of user friendly and environmentally friendly inverter solutions. While using the 600 watt inverters, you can be sure that you will get high efficiency. There is an LCD screen on the power inverter 600 watt to control and check the progress of the machine easily. It means that, you can get detailed information from the LCD screen. There is also calender and timer in the design of the 600 watt inverter. We also put overload indicator to warn the operators when there is something wrong on the 600 watt inverter system. As Mak Plus Power Systems Germany, we are here to support you for your needs. If you are not sure about which inverter solutions is convenient with your requirements, please do not hesitate our technical support team. Because, customer satisfaction is the most important thing for our company. *USB Charger included back of the machine for cell phone charging.